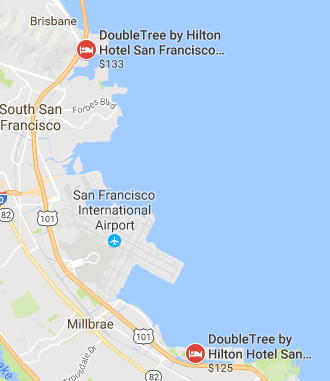 The first thing you need to know about this hotel is that there are two DoubleTree Hotels at San Francisco Airpot (SFO) – North and South. I stayed at the one in Burlingame, just a 10 minute shuttle ride south of the airport – a pleasant service they offer every 15 minutes (at least during the day/evening). I stayed there because of the National CPM Conference I was attending over my mid-winter break in February. As a math teacher it’s always fun to get and share ideas about how to engage our students. But I digress. The truth is the hotel was very well put together. They had apparently just finished a renovation and put me in room 630, on a floor that had been recently redone. 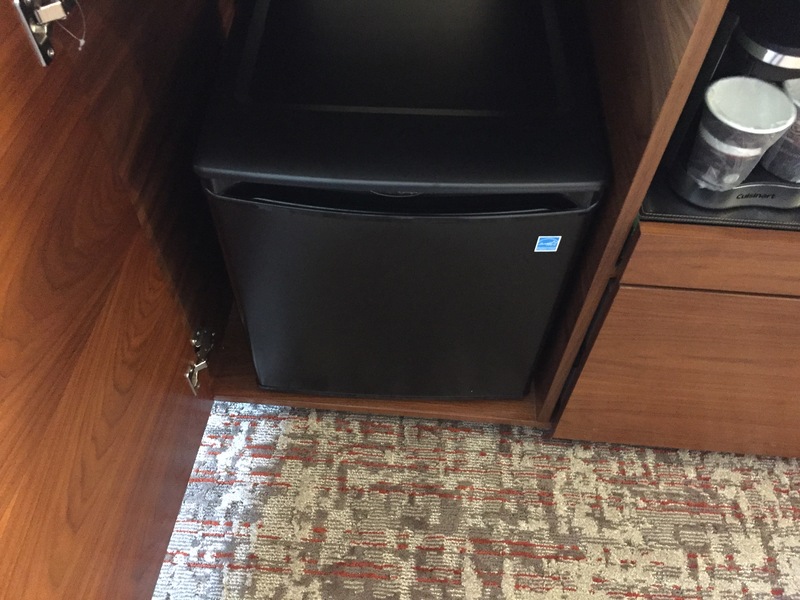 The door locks were all tap-based using your keycard (no more slots to worry about) and I could have even connected my Hilton phone app to be used to open the door. 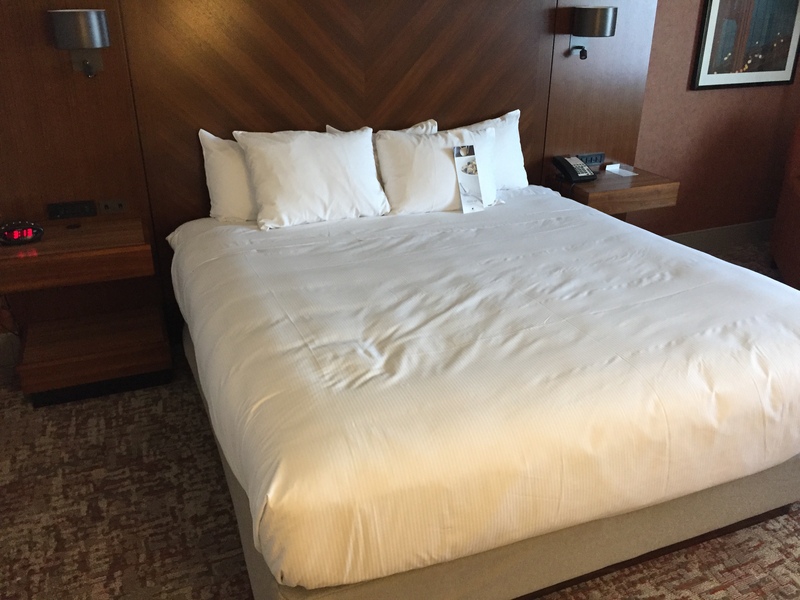 The room itself was quite spacious; the bed very comfortable and large (king size!). By both sides of the bed were power sockets and USB ports for charging. The desk had the same. 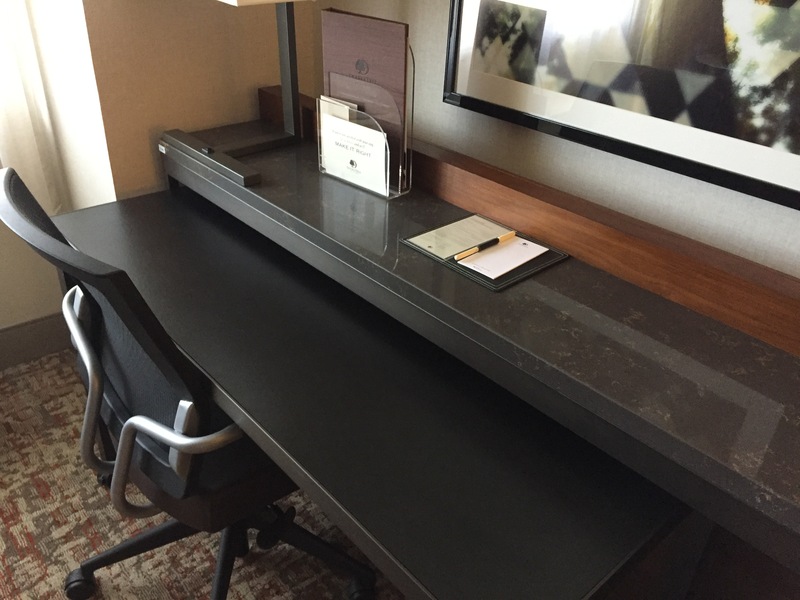 I guess hotels are really starting to make it easier for people to rely on their devices. Speaking of which, Wi-FI was complementary as long as you are a member of the Hilton Honors program (recently changed from HHonors). The TV had several channels of movies and a rotating guide to see what was on in the moment. 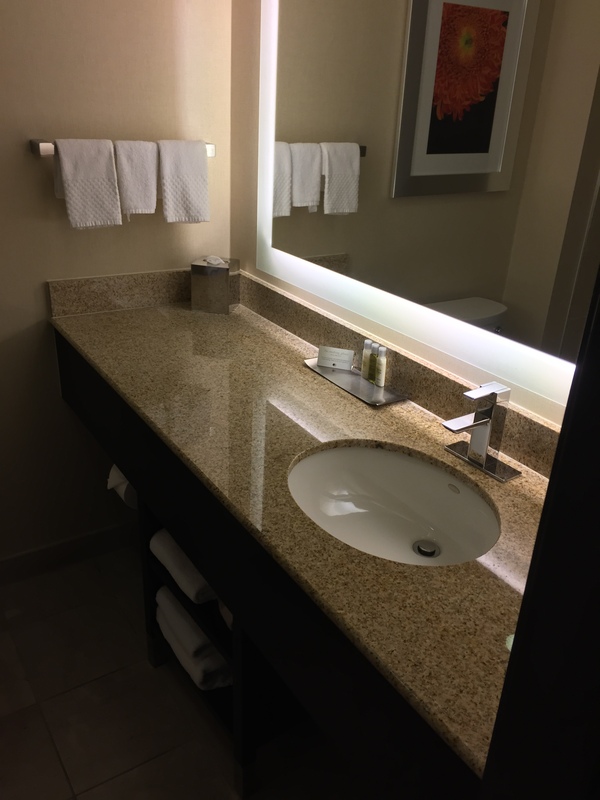 The bathroom had a large bathtub, great water pressure, and lots of towels for you to use. 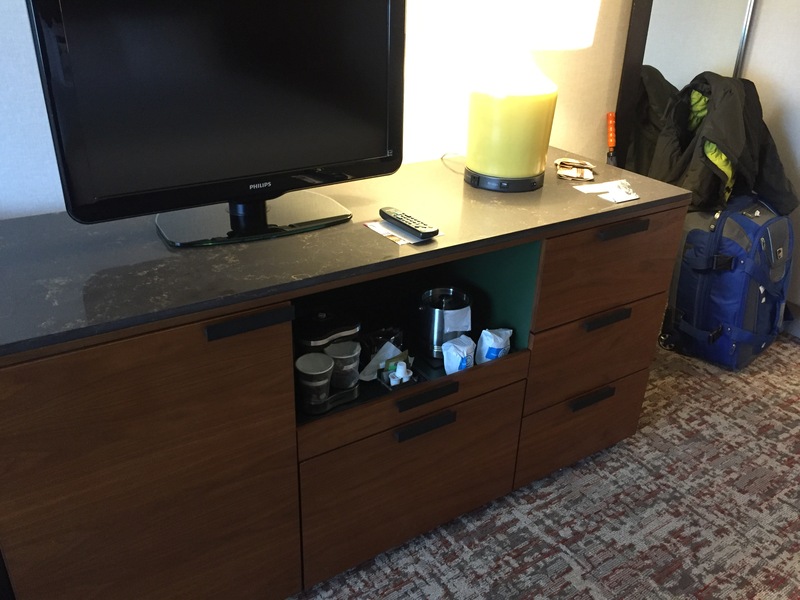 The toiletries they offered were not expansive, but would work for you if you wanted them. 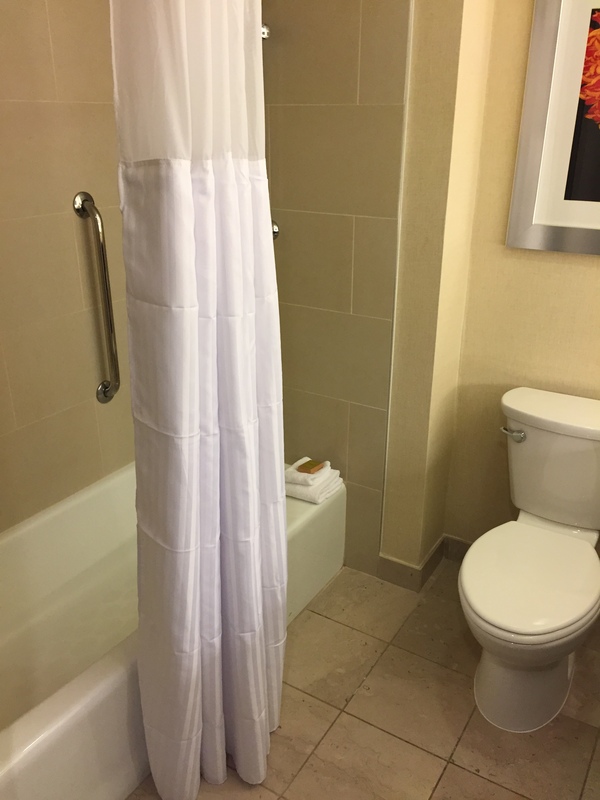 They did had a sign saying that towels that were hung up would not be replaced in order to save the environment, but they did not heed that sign and replaced my towels daily for some reason. 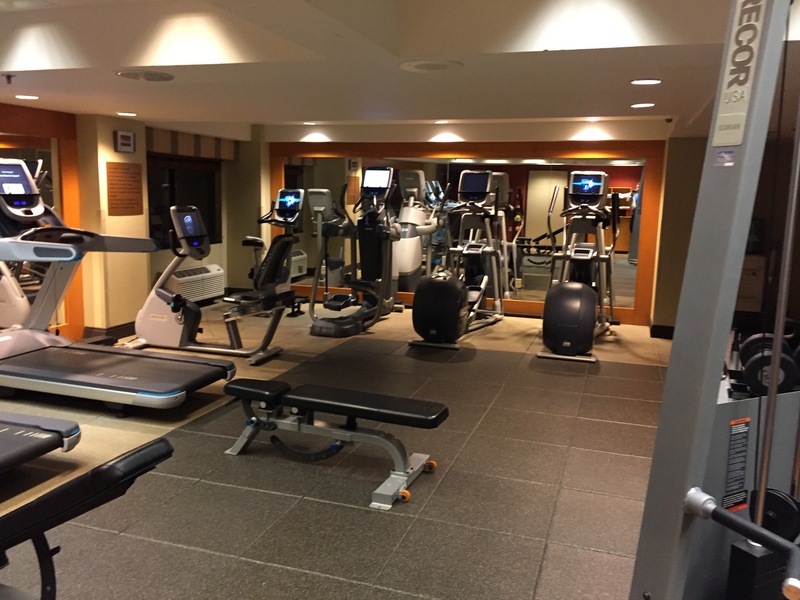 I also used their fitness center while I was there. 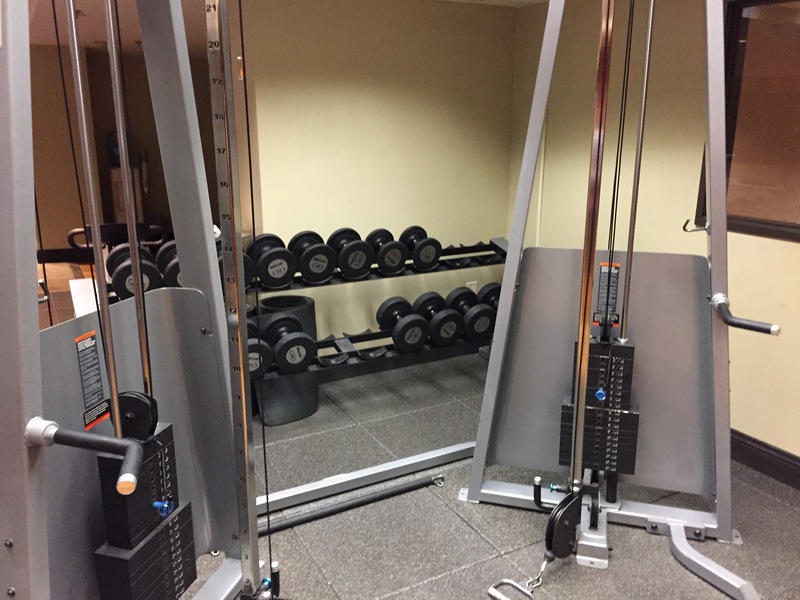 This was one place the hotel really shined – they had an extensive selection of machines and weights to use in the room. 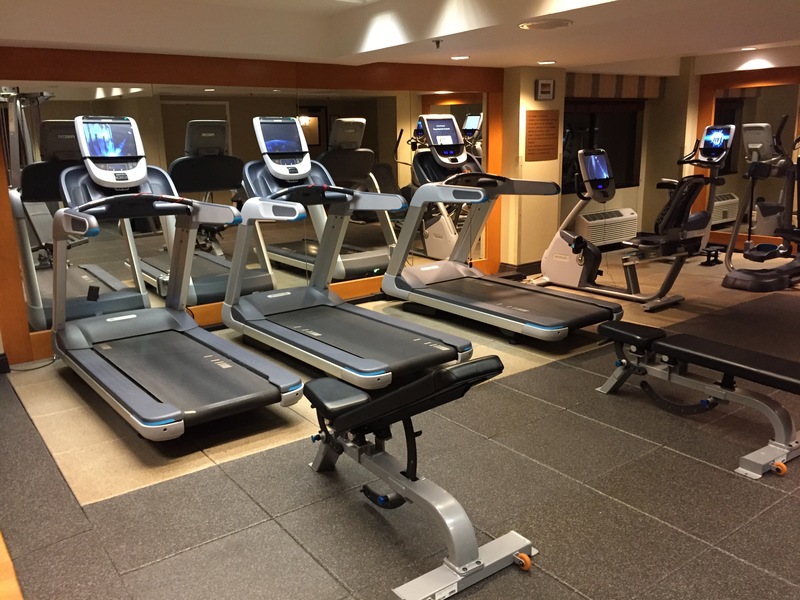 I spent time using their elliptical machine over the two days I was there. 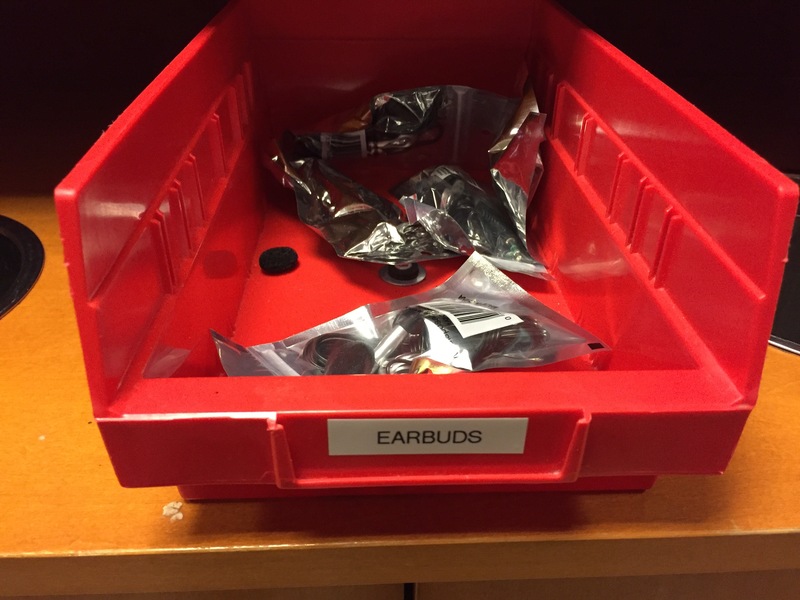 Towels were provided and so were earbud headphones! It was quite nice to see they are thinking of their millennial customers in that way. 1. Upon entry they offer their guests a warm cookie. But how do they ensure it’s warm? They have an oven under the front desk! 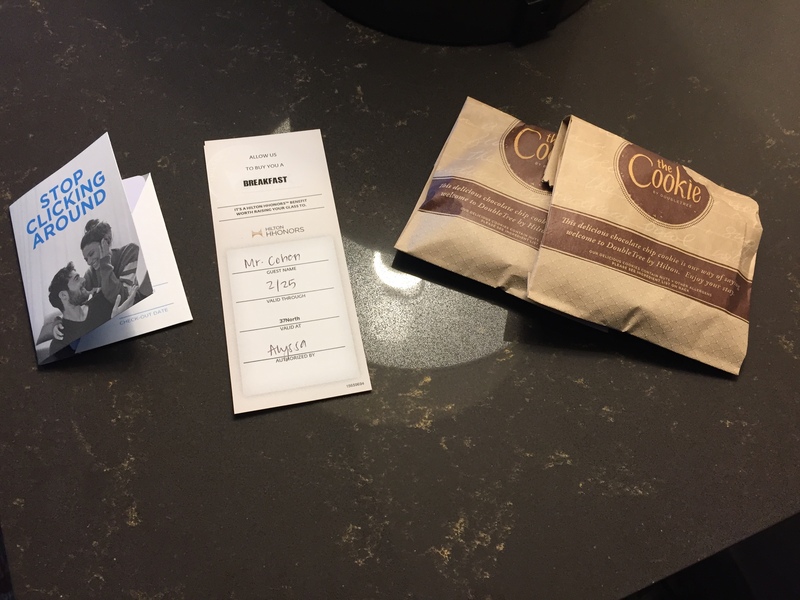 I have seen snacks given at hotels before, but never held in place in a warmer. I went back for second the next day! 2. 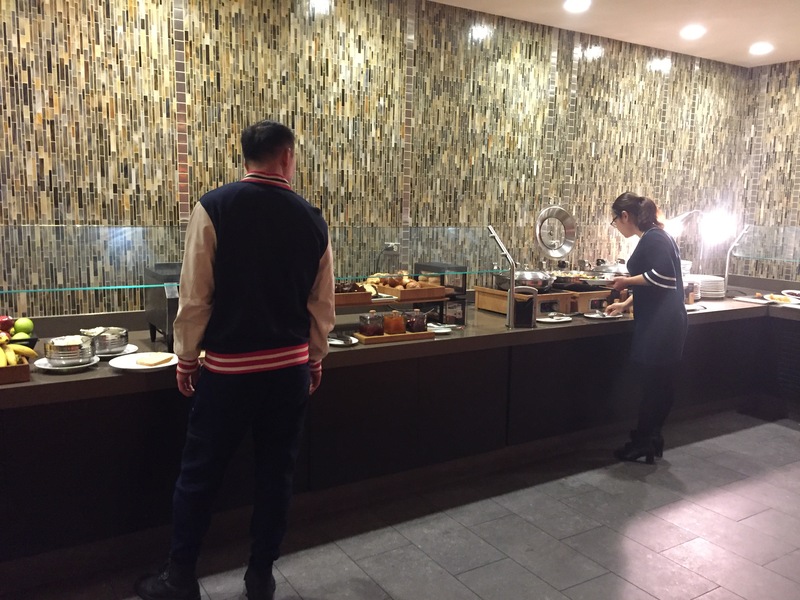 As a Gold status member in Hilton (provided by my Hilton HHonors Surpass card) I was given free breakfast vouchers for each night of my stay (for up to two people). 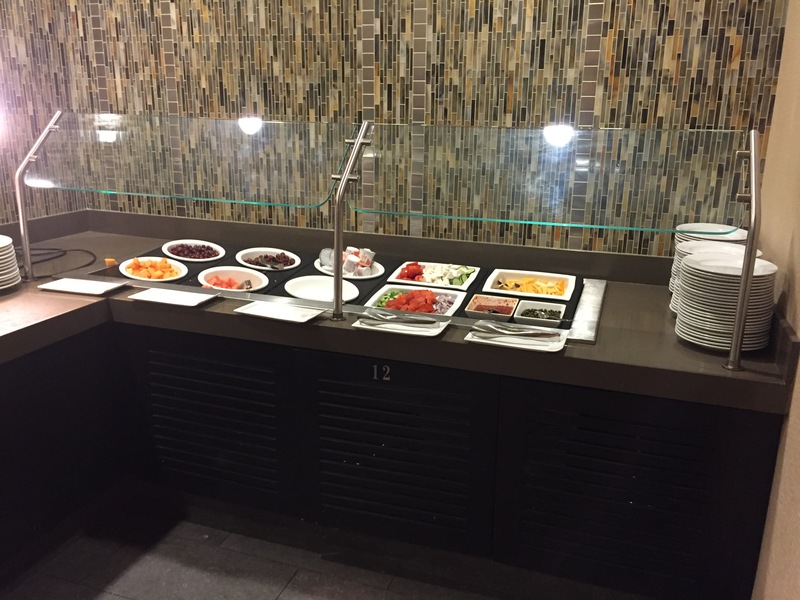 The breakfast was quite tasty and had cold/warm options available. Unfortunately, it was the same option each day, but since I like eggs I didn’t complain. This is a very solid hotel. 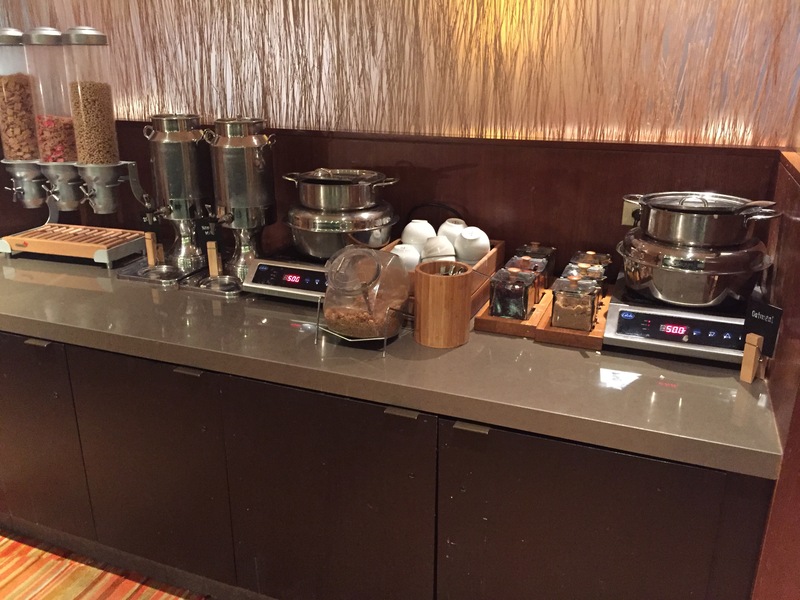 Over the time I was at the conference I used some of the meeting rooms and tried their tea offerings – it was definitely adequate and the rooms were mostly of good temperature (one was quite cold for some reason). If you ever had a reason to use this hotel, please do. It’s well worth it.